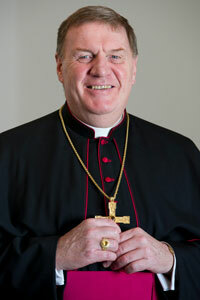 Pope Benedict XVI has appointed Archbishop Joseph W. Tobin, C.Ss.R., the Archbishop Secretary of the Vatican Congregation for Institutes of Consecrated Life and Societies of Apostolic Life, the sixth archbishop of the Archdiocese of Indianapolis. The Holy See made the announcement today in Rome. The Archdiocese of Indianapolis serves nearly 228,000 Catholics in 147 parishes in 39 counties in central and southern Indiana. The archdiocese covers 13,757 square miles.